All our offers are with buffet breakfasts, local tax & service charge for max. 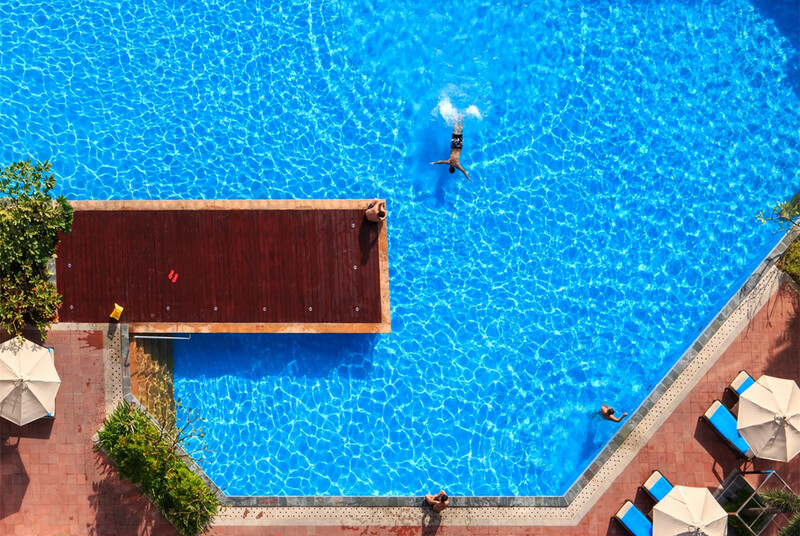 2 adult/room/nights (family suite with 4 breakfasts, local tax & service charge). Extra bed: CNY430/night with 1 person's breakfast, local tax and service charge. Extra breakfast: CNY138/person, half price for children 6-12 years old, free of charge for children under 6 years old. 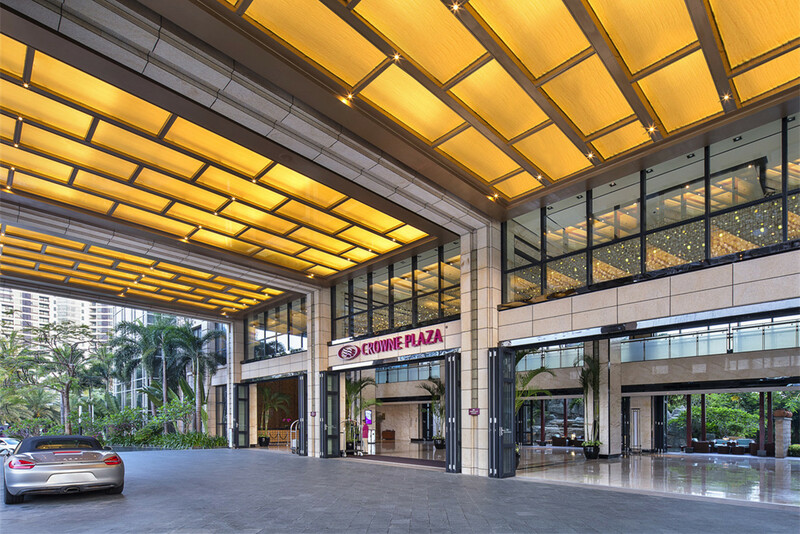 Crowne Plaza Hotel Sanya City Center is located right in the city center of Sanya on Yuya Road榆亚路, walking distance to local shops and restaurants, the popular bar street Times is just across the street from Crowne Plaza Sanya City Center. 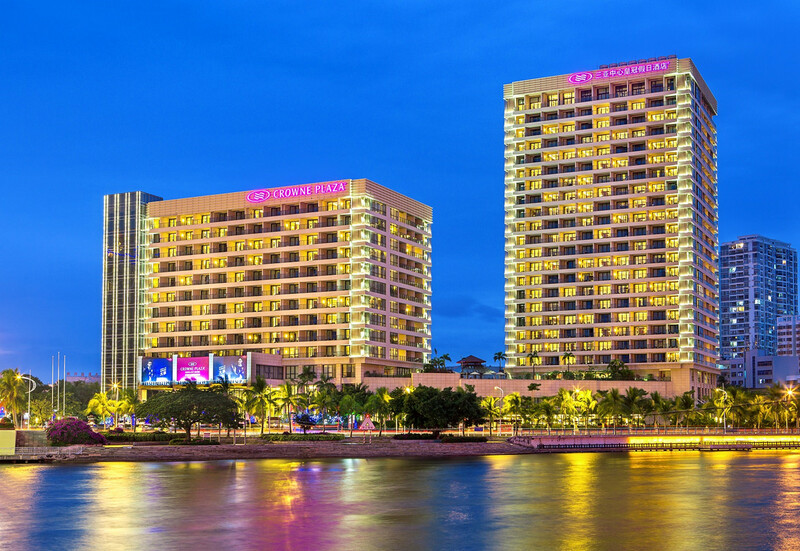 Except for local restaurants and bars, you will have great Chinese, Hainan local, western cuisines and also a small Japanese Restaurant in Crowne Plaza Sanya City Center. Caddie was invited by the management for their opening celebration on July 2015 and had a nice time with the sales office. 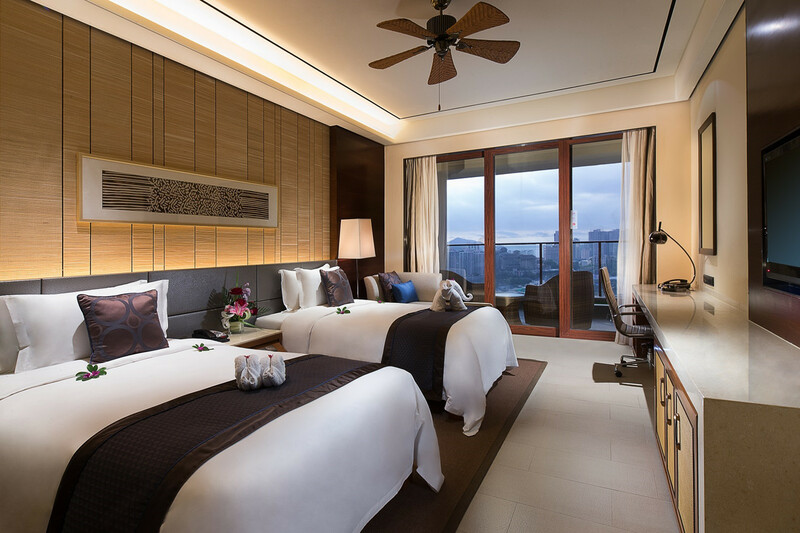 The hotel Crowne Plaza Sanya City Center enjoys a supreme location: right in the center of Sanya City, just across the street from Crowne Plaza Sanya City Center, there are more than 20 restaurants offering local, and international cuizines. 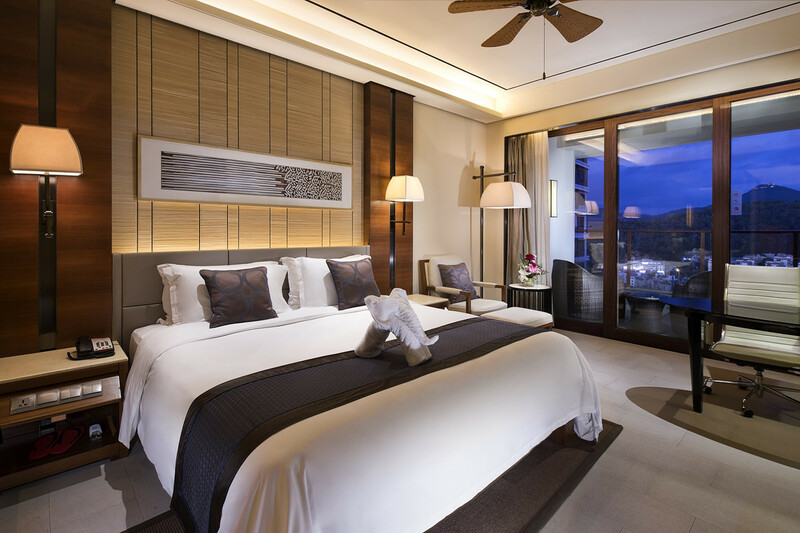 For nightlife lover, Crowne Plaza Sanya City Center is a great choice with over 10 bars and nights clubs across the street. To visit No. 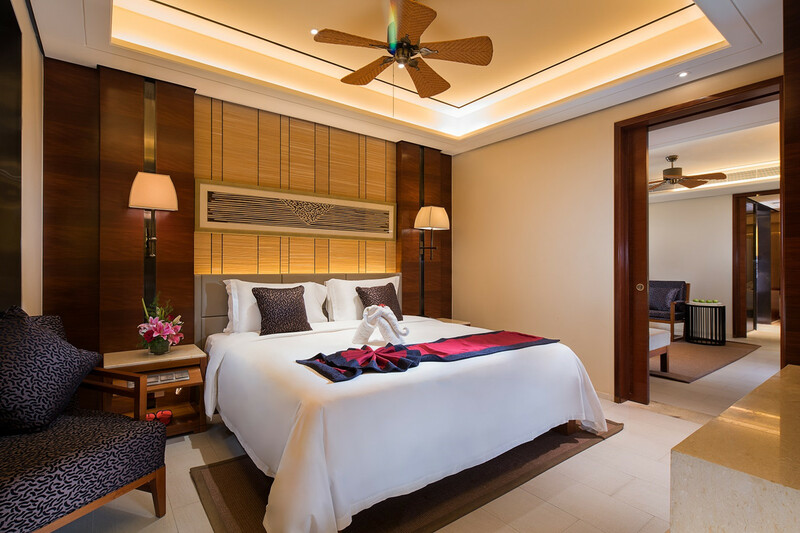 1 Market 第一市场 and Hongqi Street, Crowne Plaza Sanya City Center is just 10 minutes walking distance away. And it is easy to take buses from Crowne Plaza Sanya City Center to all places of interest from the local bus stop. 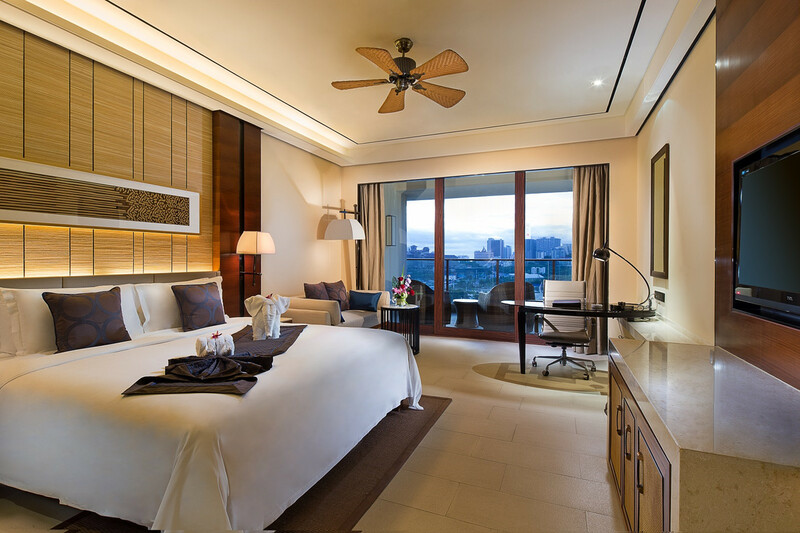 So in one word, if you are looking for a comfortable stay in downtown Sanya, Crowne Plaza Sanya City Center is your first choice. 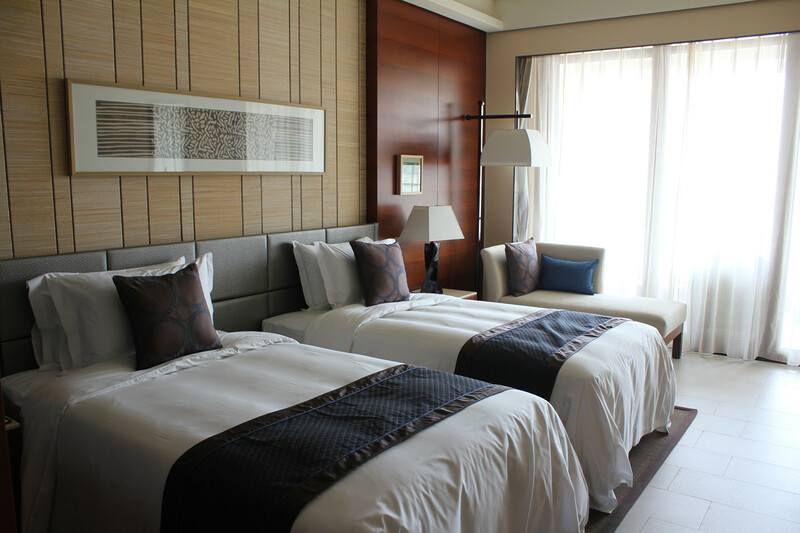 The rooms are very spacious from 68 sq. 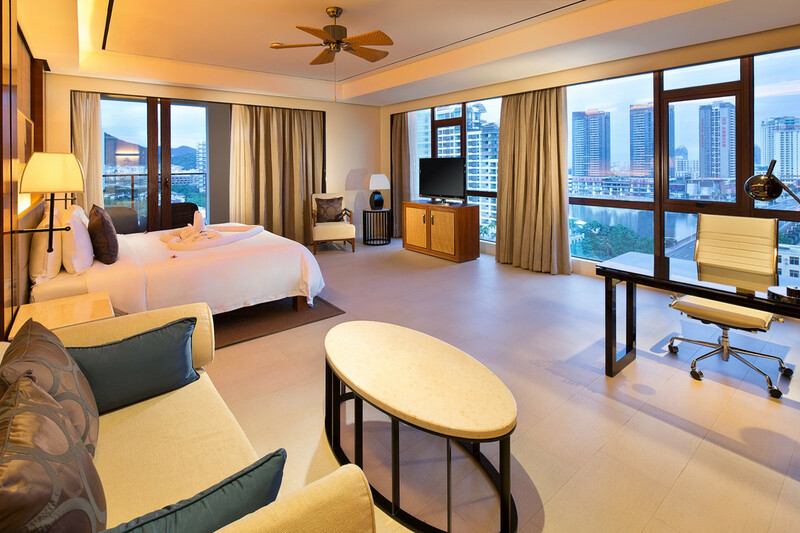 meters and there are family suites available with 2 bedrooms, perfect choice for a family stay in downtown Sanya. 2 Bed Room Suite Garden View: with a private nice balcony, 2 king beds enough for 4 adults stay, only 1 bathroom, 185 sq. meters.